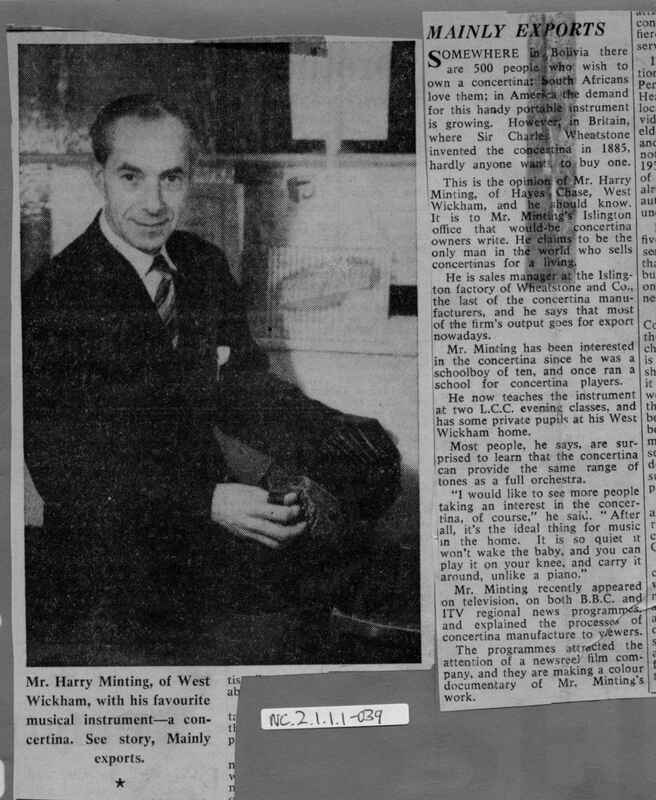 Full Description: An early 1960s press-cutting of Harry at the Wheatstone premises. The text is all about the export potential of the concertina. The original image is at: Item NC.2.1.1.1-011 .